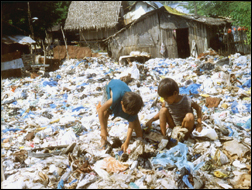 The term “basurero”, taken from the root word “basura”, meaning trash, is so-called because these poor people’s main livelihood is to scrounge for left-over food and recyclable materials in trash cans and landfills. 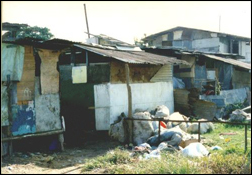 living illegally on a private lot in Manila. 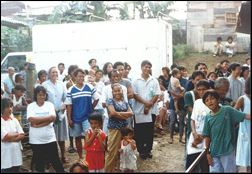 Fifty seven families were relocated to a land purchased by FMM in Bagong Silangan ,Brookside, Quezon City. There was no water, electricity or sewer system on the land; so, two deep wells and septic tanks were constructed. 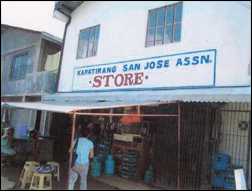 Association founded and registered, With the guidance of FMM, the community formed an association which they named Kapatirang San Jose Association. They formally registered this association with the Security and Exchange Commission of the Philippines to obtain leverage in future activities. Overflowing of nearby creek, waist deep due to heavy rains, The Association, with the FMM, obtained help from the government in preventing future overflowing of the creek. Rip-Rapping the creek, the association was able to obtain help from the government in preventing future overflowing of the creek. Change of Jobs for a few. A handful of scavengers changed their means of livelihood to taxi/truck drivers, construction workers/laborers, newspaper deliverymen, waiters and housekeepers. Construction of a multipurpose building for community meetings and also, as classrooms for the preparatory and kindergarten classes that started in 2003. Opening of community-owned membership consumer cooperative store where profits are pegged to a minimum. Families total 134. The community grew from fifty seven to 134 families. Expansion of Cooperative. The Cooperative financed a vehicle from its profits and donations and is leased to the public when not in use so rental fees redound to the operation of the store and vehicle maintenance. The First New Houses. 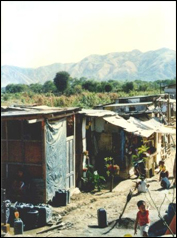 Donors provided construction materials and expertise while the people in the area provided the labor. Start of Kindergarten and Preparatory School. Some donors sponsored a program for pre-school children. 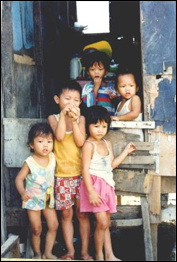 Free of charge, the children are taught the basic skills and arts, as well as Christian values. The children are given free nutritious breakfast on school days. Contruction of 60 More New Houses, a Chapel, a Basketball Court and a Six-classroom School. The Stella Maris Alternative School. 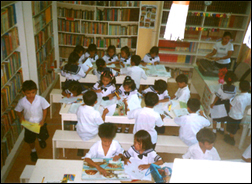 In the midst of the community, FMM started an outreach elementary school of Stella Maris College, Cubao, Quezon City, Philippines. For the school year 2004-2005, there was only one Prep class of 15 pupils and a Grade One class of 26 pupils. The plan was to add one grade level each succeeding year. 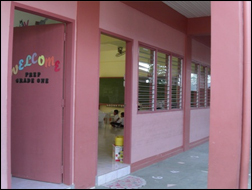 Stella Maris College of FMM provided the tuition, books, uniforms and other school supplies for the school’s first year of operation.The kindergarten and preparatory classes were moved out of the multi-purpose building to the new school building. 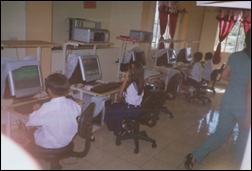 The vacated classrooms were then converted into computer rooms. New Houses for Neighbors of the Community. 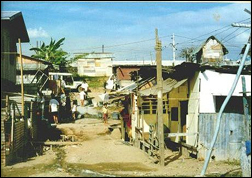 Since all 134 houses in the community have been built, the FMM started to help other neighboring indigent families by bringing to them the socialized housing program and by sharing with them the value formation given to the scavenger families. Free Healthcare. 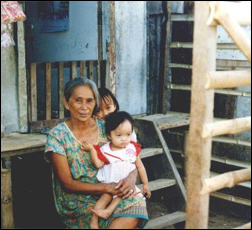 A medical doctor from the Philippine government provides free medical examination and consultation once a week to the community. Occasionally, some other doctors donate their time at the clinic. Five mothers in the community were trained in healthcare services to help at the clinic under the supervision of the regular medical doctor. Total New Homes. 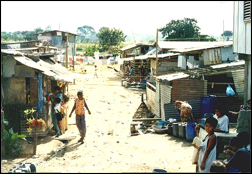 The year 2006 brought to a total of 268 new homes built for the garbage scavenger families. Handicraft Making. Home industry such as handicraft making and sewing was started by some mothers. Gift Giving on Christmas. About 300 packages of food, school supplies and other items were distributed. Livelihood Problem. A challenging problem faces the families of garbage scavengers. They are no longer allowed to obtain their recyclables from places other than their own “barangay” (Neighborhood council). Besides this limitation, they may now sell their scavanged materials only to the town council officers; hence, their net proceeds are further cut by middlemen.